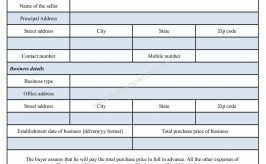 A business expense form template is essential for the organization to keep track of the expenses by employees and also helps in reimbursement of the same. 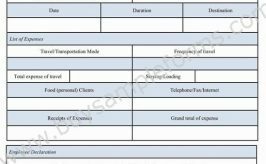 Employees who travel due to business related work are required to submit such expense form to the organization. 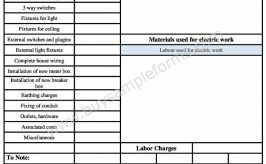 The components of such a template should include the name and contact information of the employee, reason for the expense, date, description and amount of expense, and a grand total of all expenses. The form is filled by the employee and finance department is responsible for the disbursement to the employee. 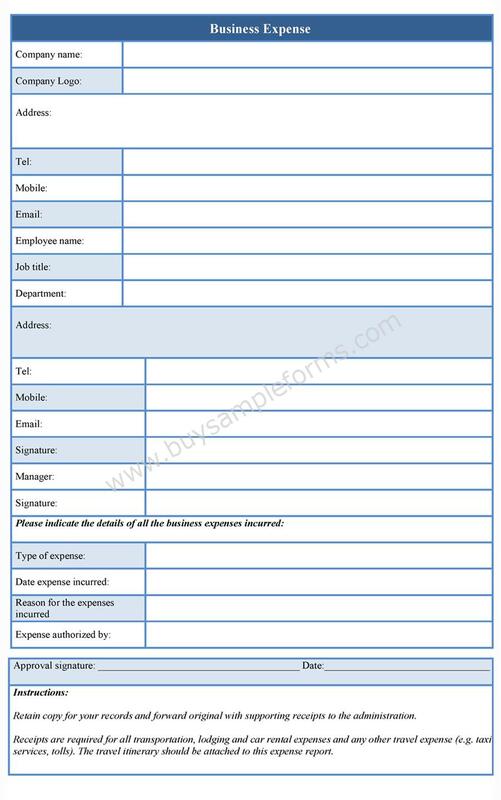 Below is a sample Business Expense Form template. 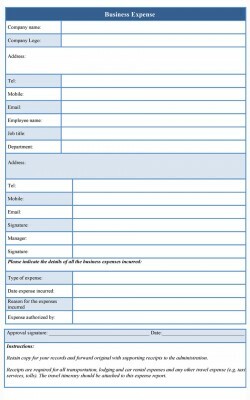 The sample Business Expense Form Template can also be downloaded online. It is available in MS Word, Excel and PDF formats. Download, edit and customize according to your requirements.